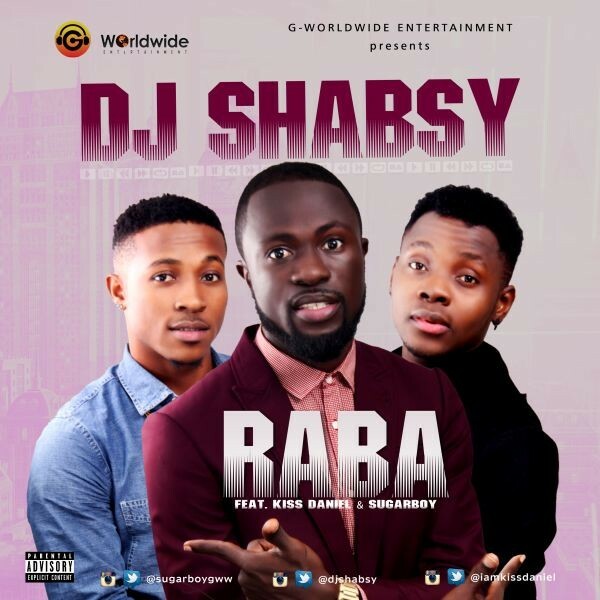 G-Worldwide Entertainment presents its new signee Label Official Disk Jockey, “DJ Shabsy” The deejay most known for his video party mix every friday on Africa’s premier music video station, Soundcity TV in a brand new joint titles “Raba” produced by hit maker “DJ Coublon” NEA Nominee for best Producer of the Year. Raba is a classic Afropop and Dancehall tune with a gentle mix of R&amp;B tempo, the jam features the record label frontline act, Kiss Daniel and label mate Sugarboy. The track is an introduction of DJ Shabsy and Sugarboy “Recording Performing Artiste”, the new additions to the G-Worldwide Entertainment Record label. Sugarboy delivers on this track with his dancehall verses showcasing his unique talent. And as usual, Kiss Daniel reaffirms why there’s so much buzz around this kid who has been burning up the charts all 2015.